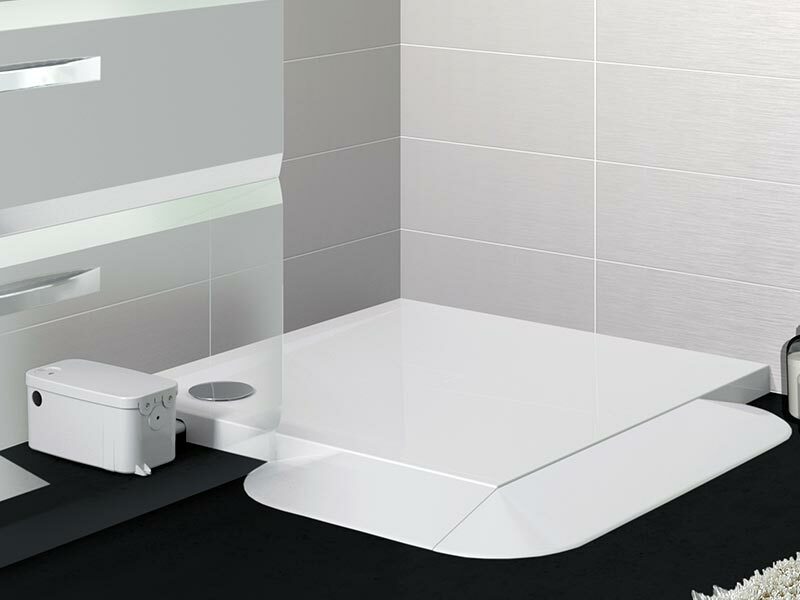 The Saniflo Traymatic is a low-level shower tray with a powerful external pump to expel waste water. Low level entry (53mm/2 inches) and optional shower seat and access ramps makes them ideal for people of limited mobility. Note: ‘Right’ and ‘Left’ refers to which side of the tray the pump sits on. For ‘Right’, it will be on the shorter side (800mm) and for ‘Left’, it will be on the longer side (1000mm or 1200mm). Manufacturer’s RRP from €1,921 to €2,022 – so buy here for BIG savings! Sanfilo Traymatic shower trays feature a low profile and an external waste water pump. They are an ideal solution for installing a new shower anywhere that conventional plumbing is not within easy reach. They do not require any excavation, making them perfect for unbreachable floors. Low level tray height of 53mm (2”) for easy access by the less able. 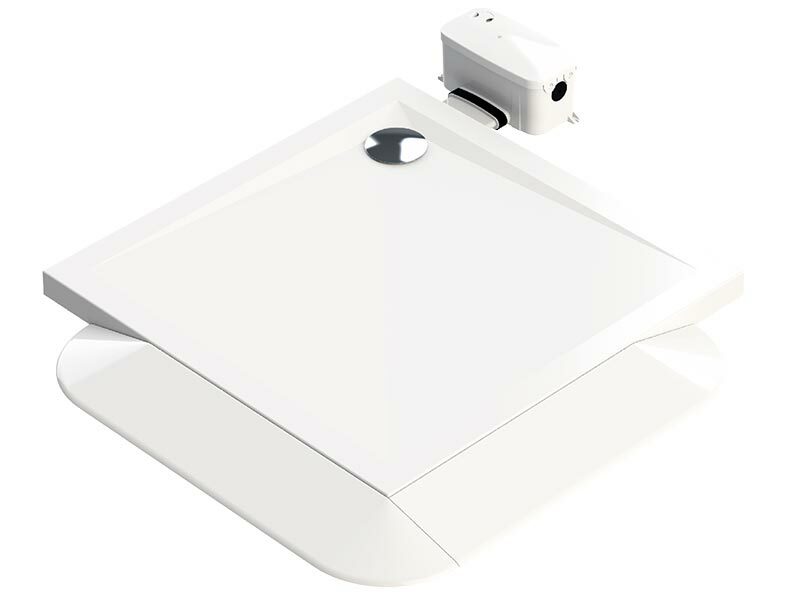 Includes an anti-slip surface for additional safety. Can discharge through 22mm or 32mm pipework. Pumps up to 3m vertically or 30m horizontally. Optional access ramps and shower seat. Waste trap included, with chrome-plated cover. 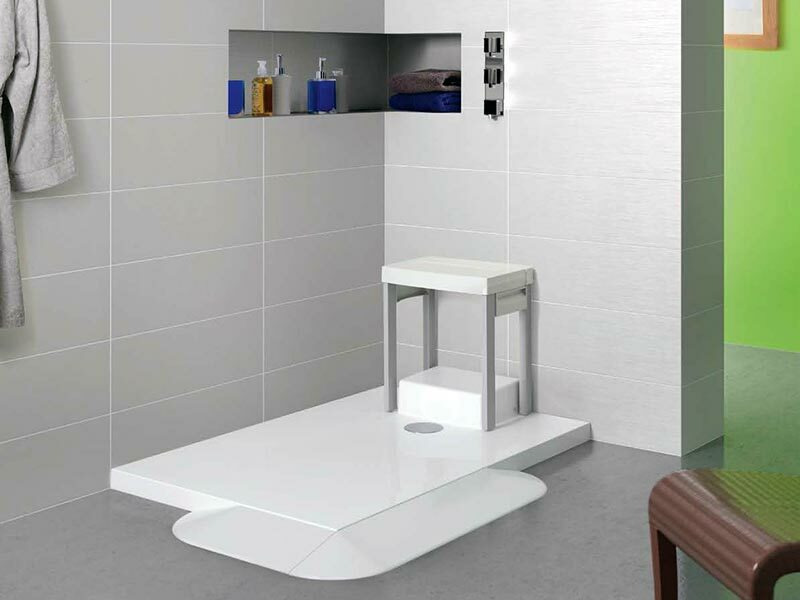 Overall, Saniflo Traymatic shower trays make it possible for anyone to have a shower, anywhere a water supply can reach. The sturdy tray can easily accommodate a wheelchair. It is also perfect for children and the less able, who struggle to step up into higher shower trays. Plus, it’s stylish enough to look the part in the most contemporary of bathrooms. You can buy the Saniflo Traymatic online, along with all of our Saniflo Systems and Kinedo Shower and Bath Solutions, with the reassurance of dealing with Ireland’s official Saniflo and Kinedo agent.